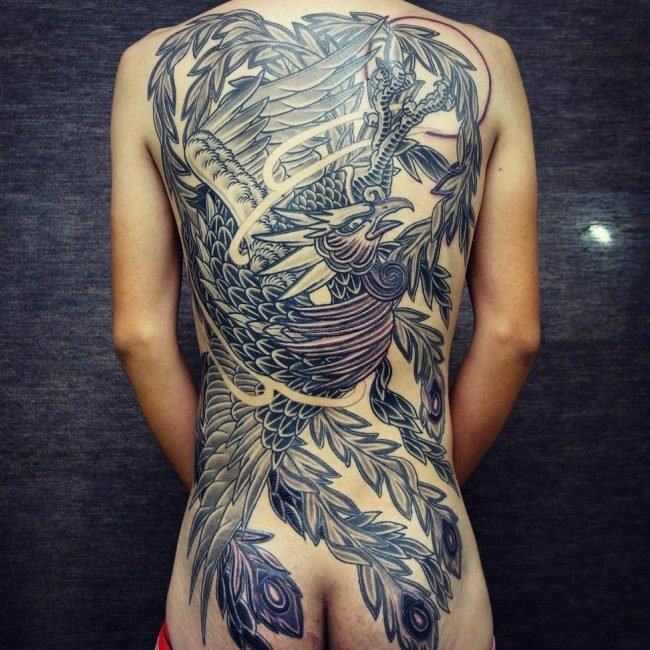 Back tattoos are definitely gorgeous and striking to look at. 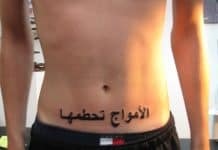 This is the main reason why the number of people who are into these tattoos is increasing day by day. 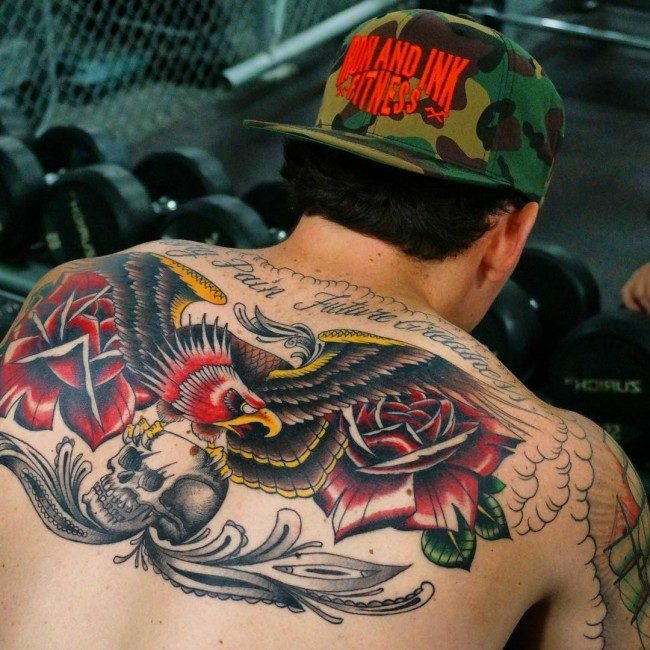 In fact, these tattoos are even worn by a number of celebrities and famous personalities in the entire world. Can you believe on that? 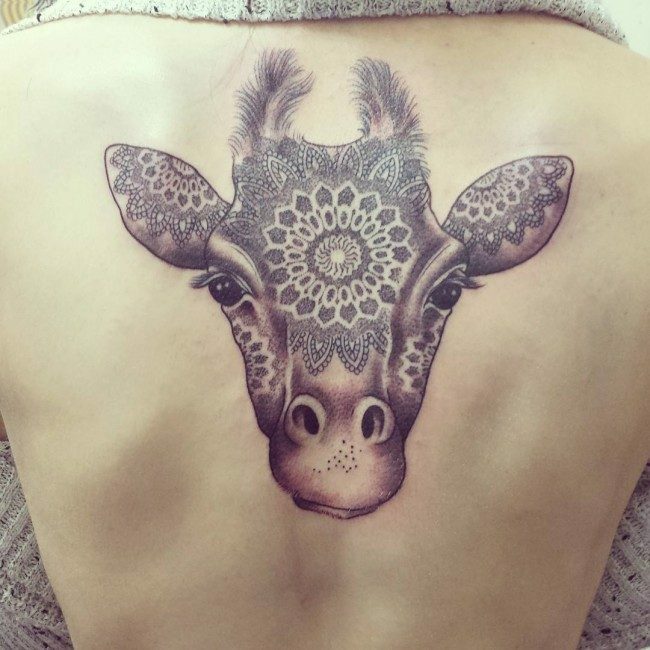 Truly, these tattoos along with some other tattoos that can be commonly seen on a person’s body become extremely popular these days. 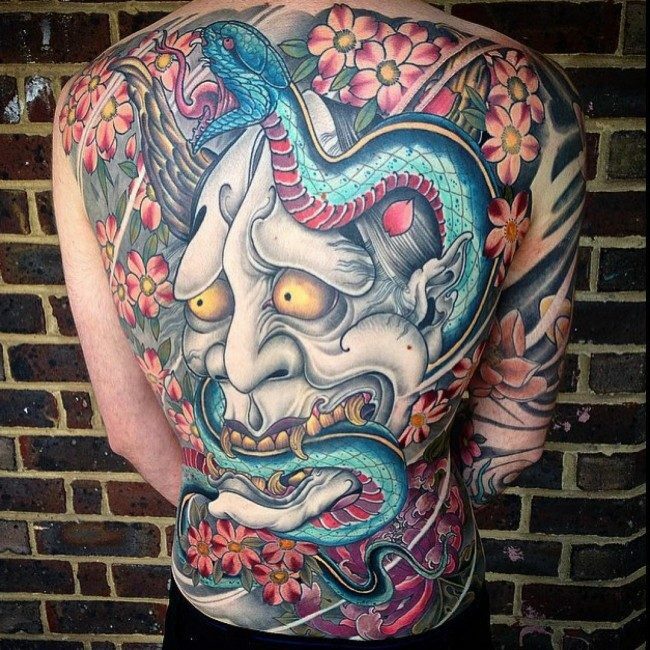 The big question now is, where did tattoos on the back originate? Well, let us all find out. 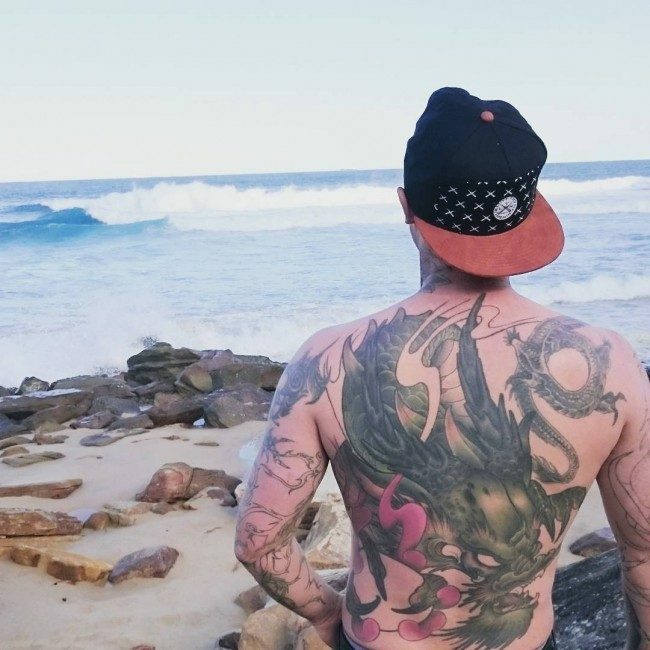 The truth is, tattoos on the back were already worn by several people many years ago, around over 5000 years in the past. It was confirmed through the discovery of Otzi the Iceman. Otzi was a man of 3001 BC or 4th millennium BC. 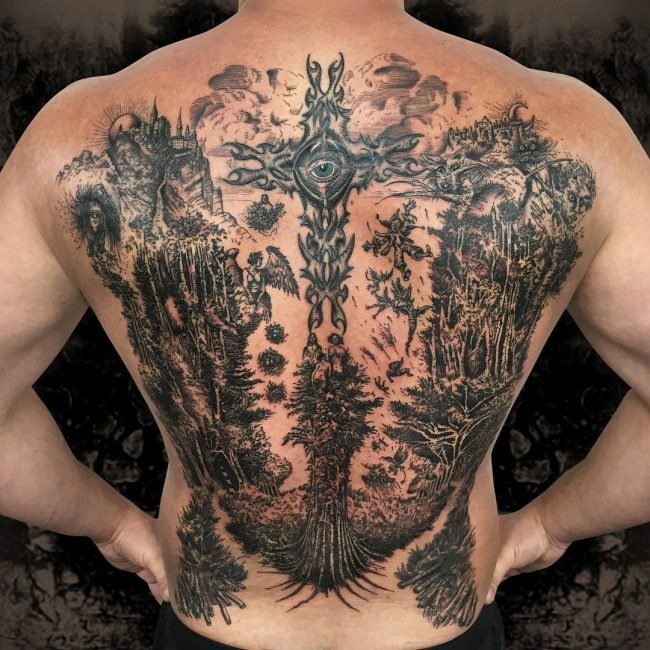 His body was found in a certain place, and it was fully adorned with 57 carbon tattoos, including tattoos on his back, as well as various piercings of the body. 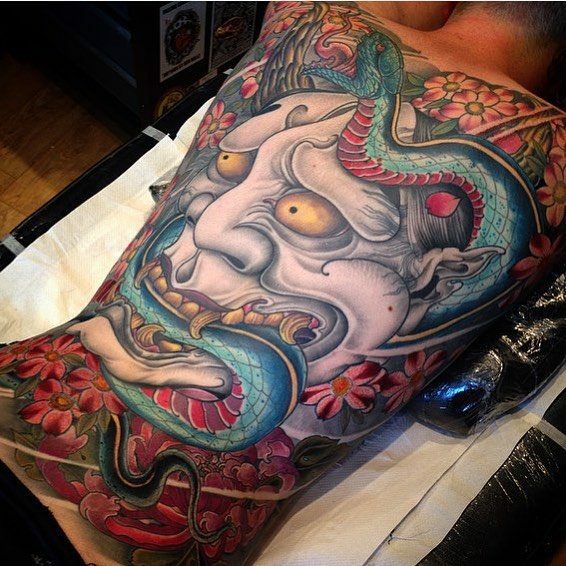 Hence, it is believed that tattooing has been a part of many people’s lives in the world today and even in the past years. 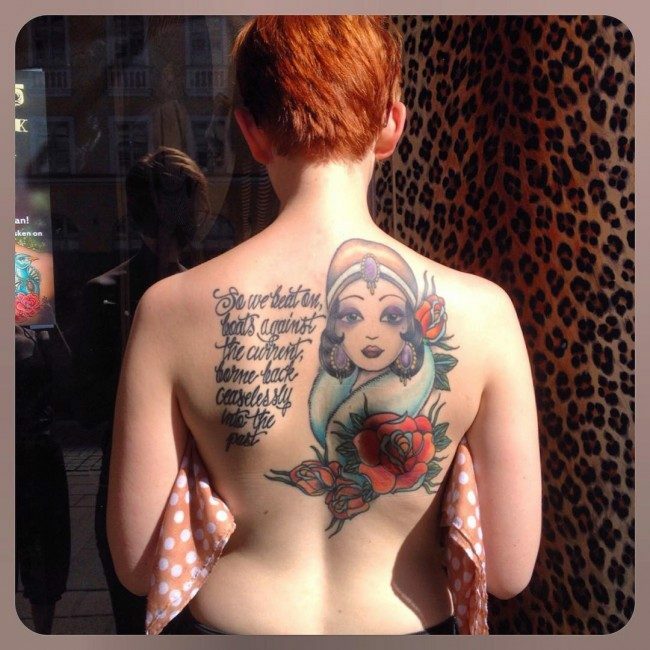 A lot of people were wearing tattoos in the past as a sign of their strong certain beliefs. 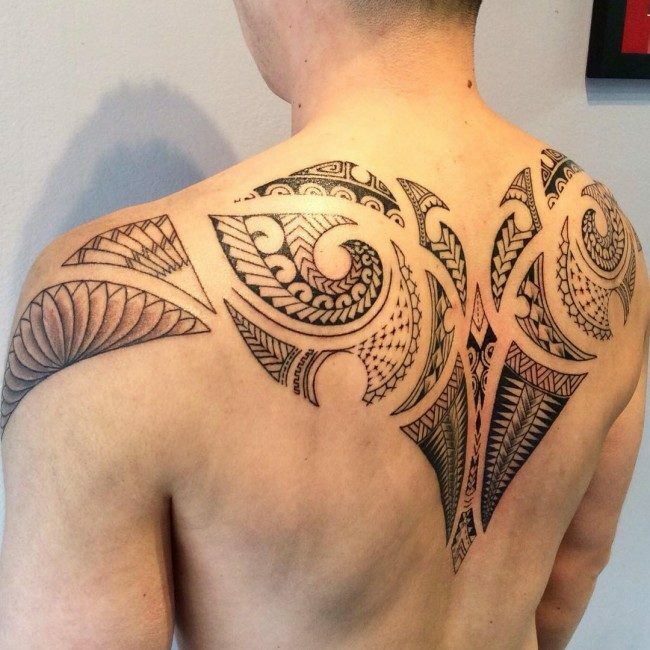 In fact, there are various tribes in the world who are incorporating tattoos on their bodies that signify their value in the tribal society. 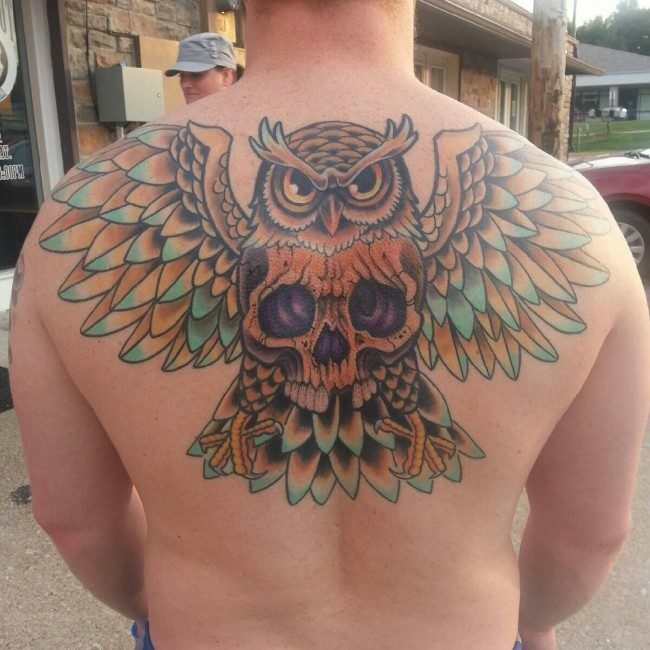 Some people wear tattoo art on back as commemoration on their achievements in life or in order to enhance their outside appearance. 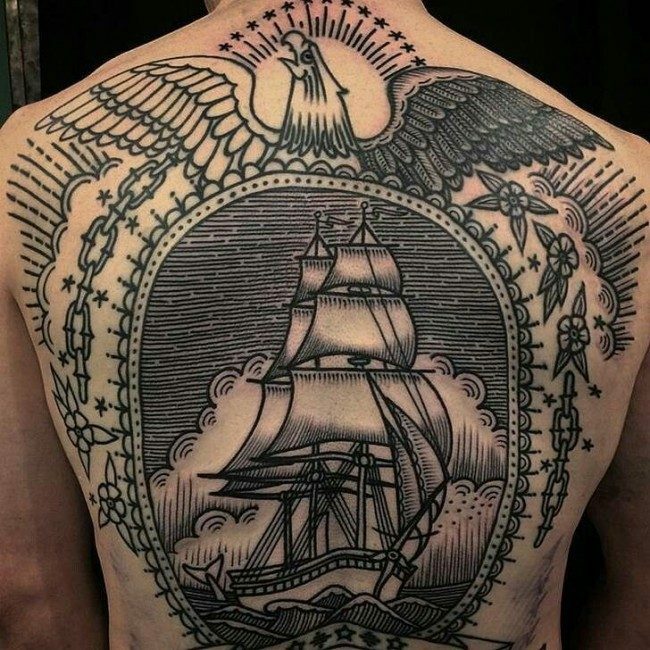 But whatever reason a person has in getting tattooed on the back, one thing is for sure and this is the fact that tattoos are great adornments on the body. 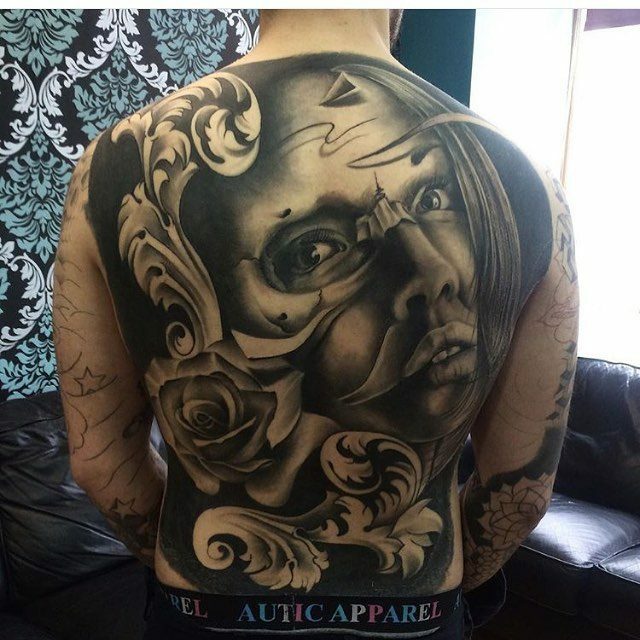 Enhanced Outside Appearance – It is undeniable that many people are able to enhance their appearance through tattoos on the back. 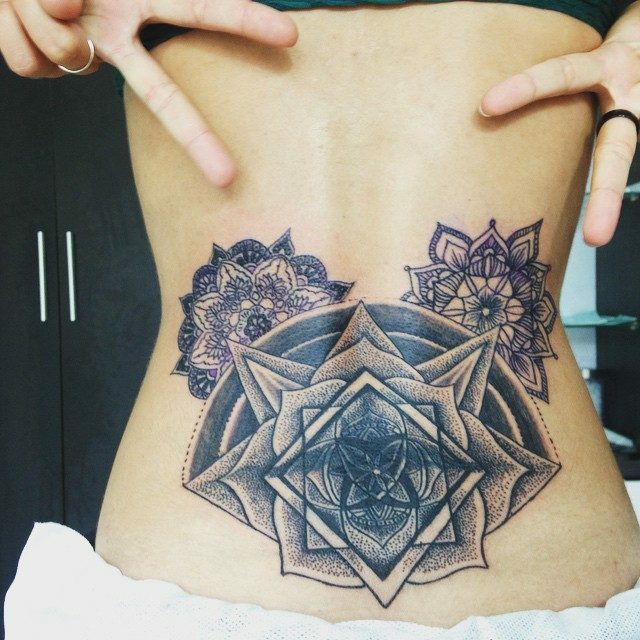 They become more beautiful and handsome in the eyes of other individuals, especially if the designs of their tattoos are extremely gorgeous. 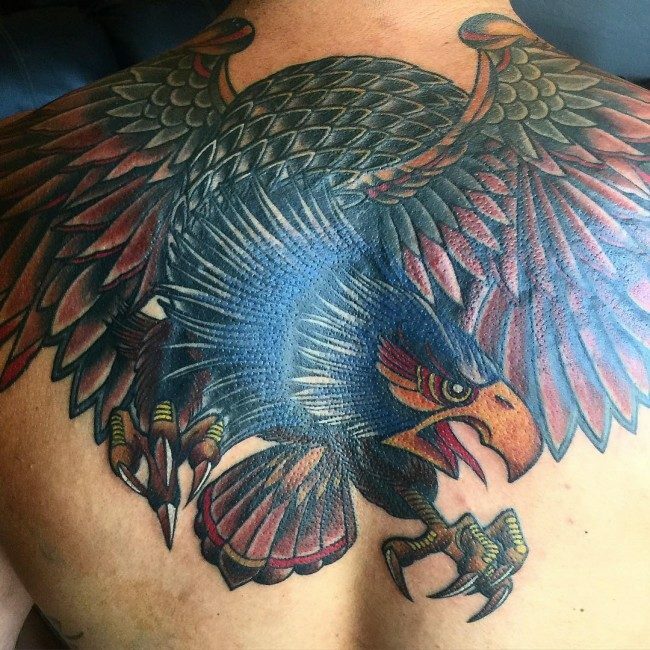 Easy to Hide – Since your tattoos are engraved at the back portion of the body, then there is no question why you can just hide them anytime you want to, like when you need to attend to a very conservative party. 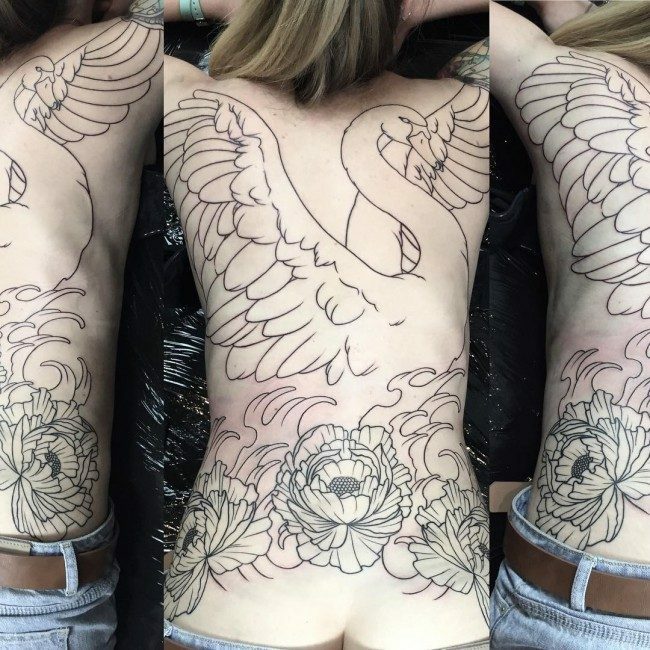 Wider Space – Since back part of the body has wider space, then there is no way you cannot have the tattoo design you love the most, no matter what the size is. 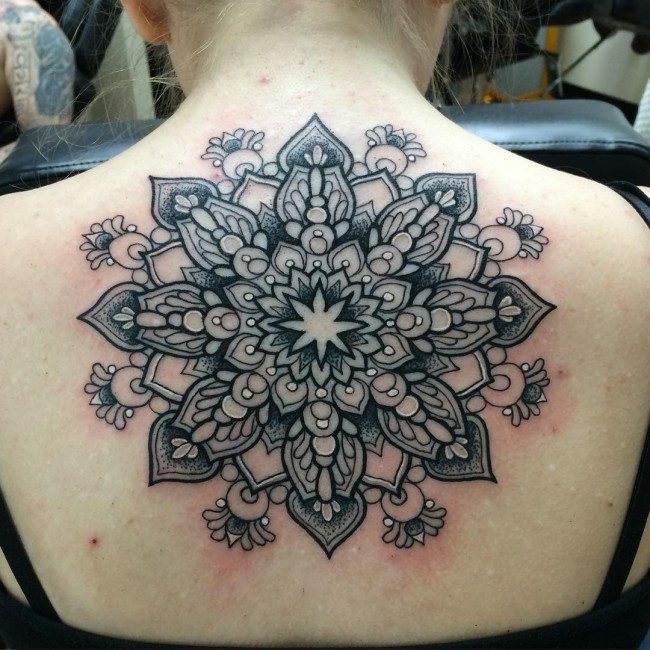 Extra Painful – It is very true since they are usually made from bigger and more intricate designs. 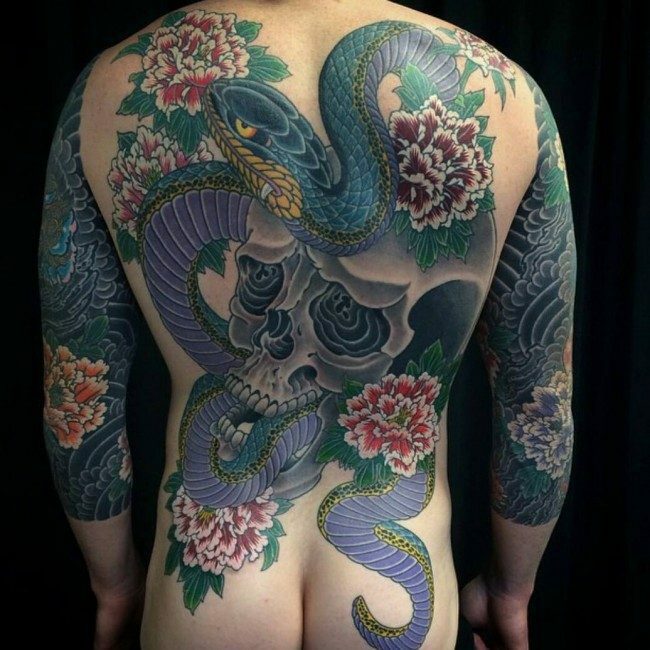 It is because of the wider space for tattooing on the back. 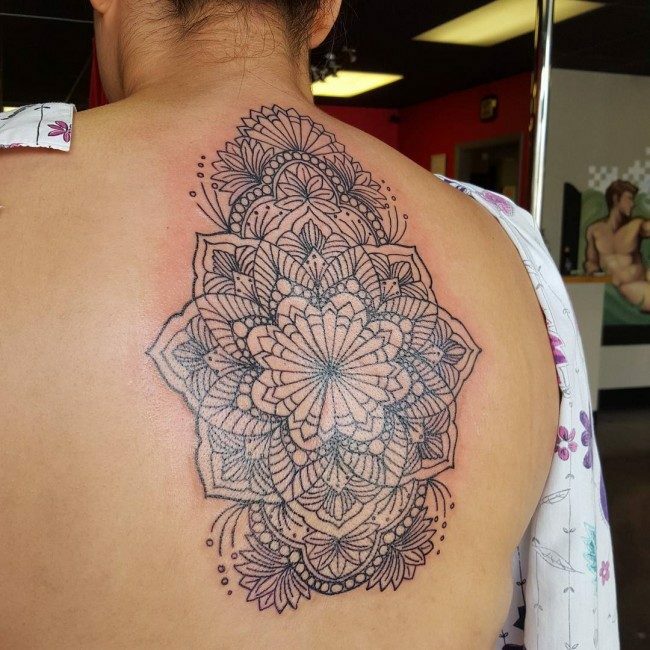 With this, longer time for tattooing is needed, and the longer you are exposed to the needles for tattoos, the more painful it is for you. 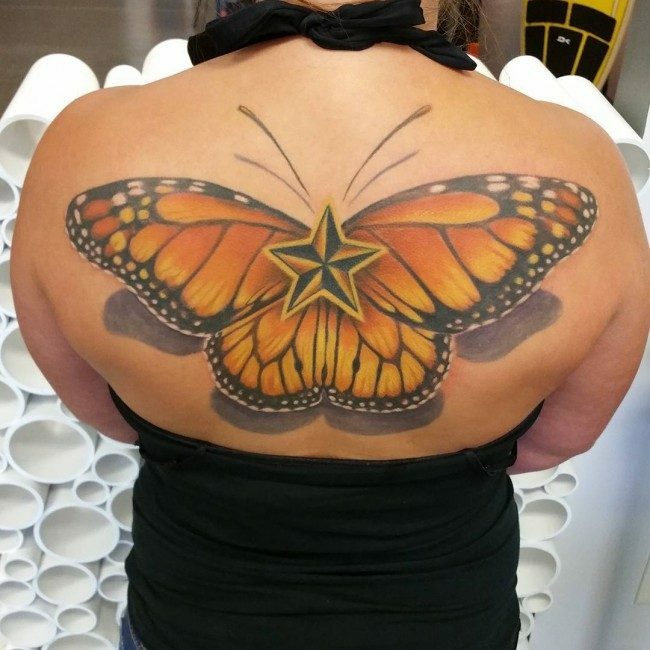 Pricy – Of course, it would cost you more compared to some other tattoos on the body. 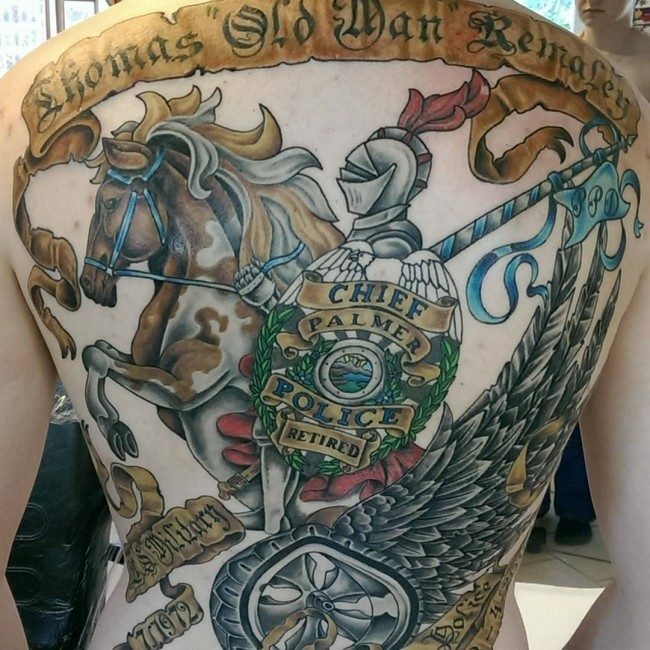 It’s because of the bigger tattoo designs that need more time and effort in engraving them to your back. 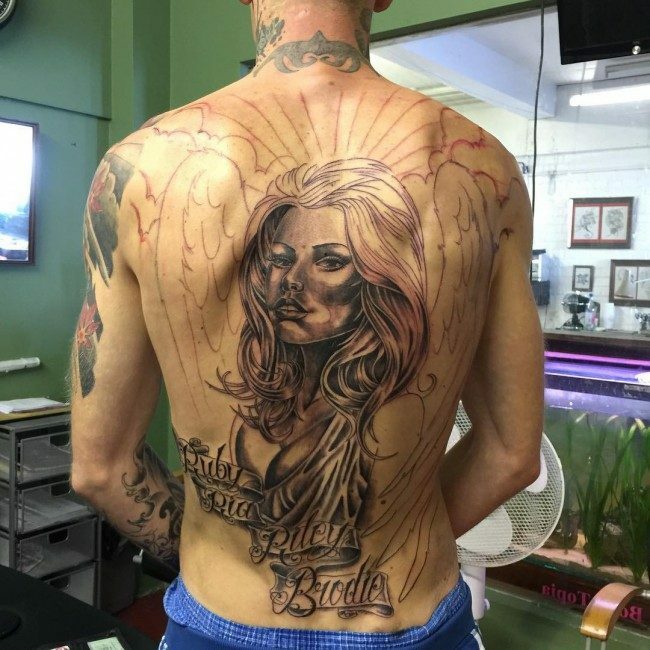 Angelina Jolie – This famous Hollywood star has a very beautiful tattoo on her lower back. 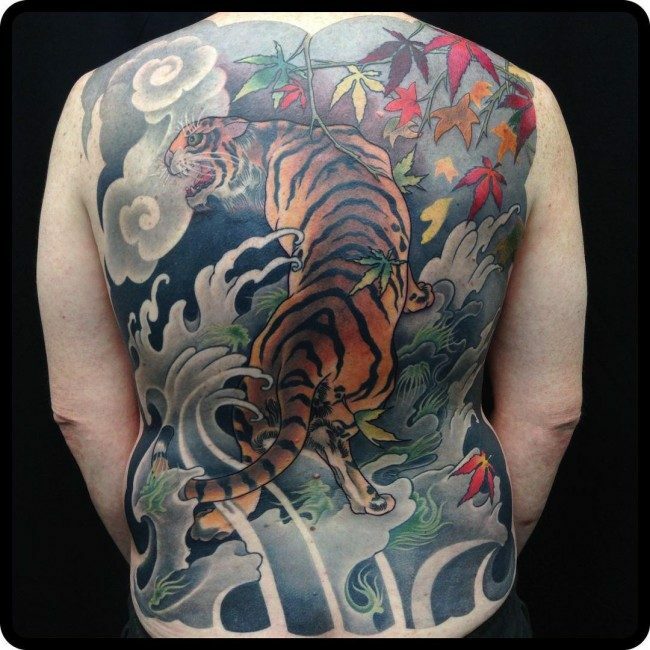 It has a Bengal tiger design, and it was tattooed in 2004 in Bangkok, Thailand. 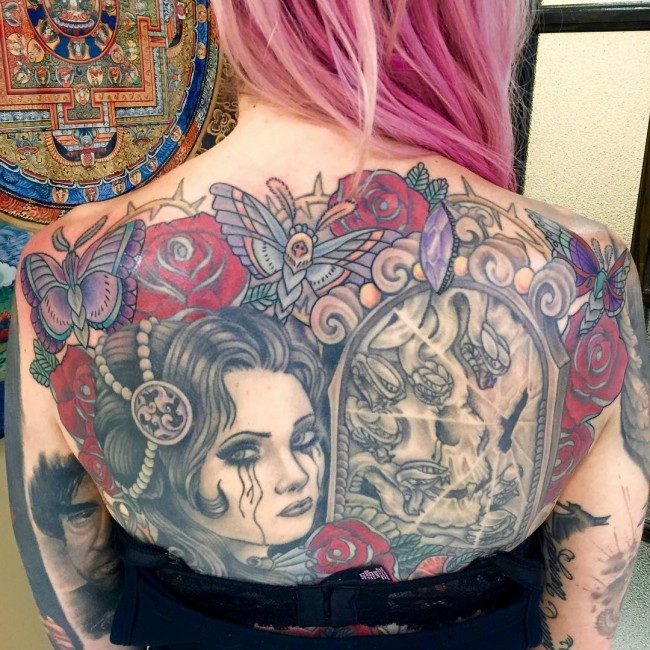 Drew Barrymore – She has tattoo art lower back that are composed of 2 angels. “Jaid”, which is her mom’s name, is also engraved in each of these angels. 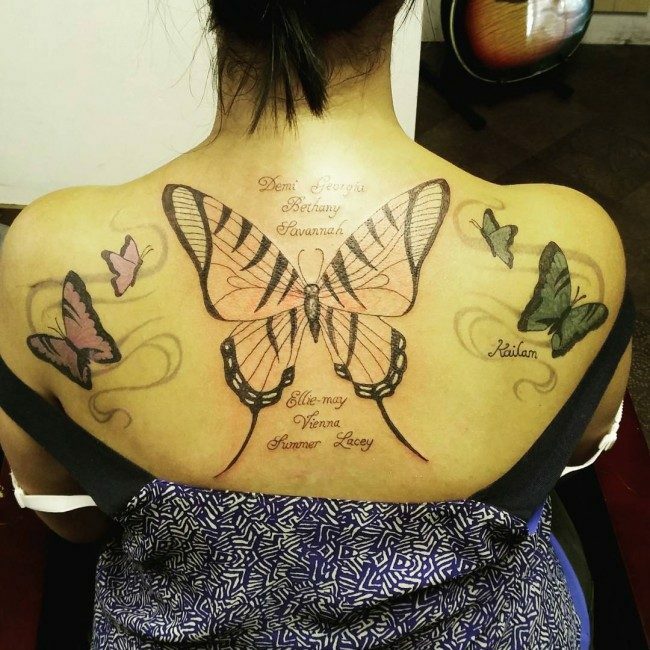 Megan Fox – She actually loves poetry, and this can be confirmed through her tattoo art upper back, where you can read the famous poetry line of William Shakespeare that goes, “We will all laugh at gilded butterflies”. Steve-O – Just in case you don’t know, he is an American television personality who entertains a lot of people in the TV series titled “Jackass”. 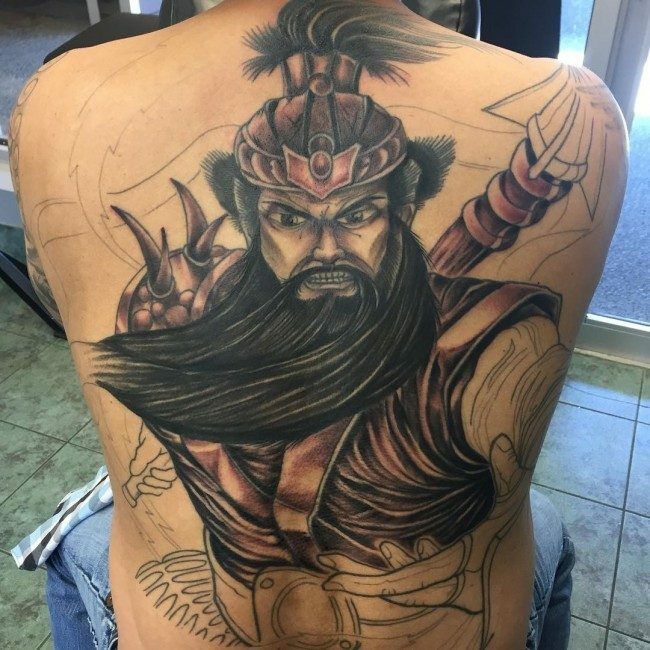 He has kinda non-sense tattoo on his back, and it seems like a kid’s drawing. But actually, it looks that way because it is done while he’s in a moving truck in a shooting. 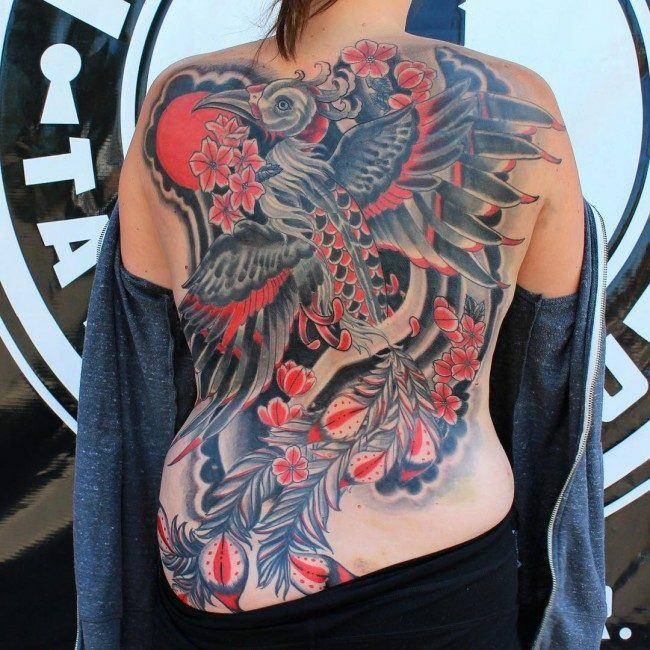 Tribal Tattoo Designs – All over the world, tribal tattoo designs are absolutely great choices of many. It is simply because these designs can really look good on a certain person. 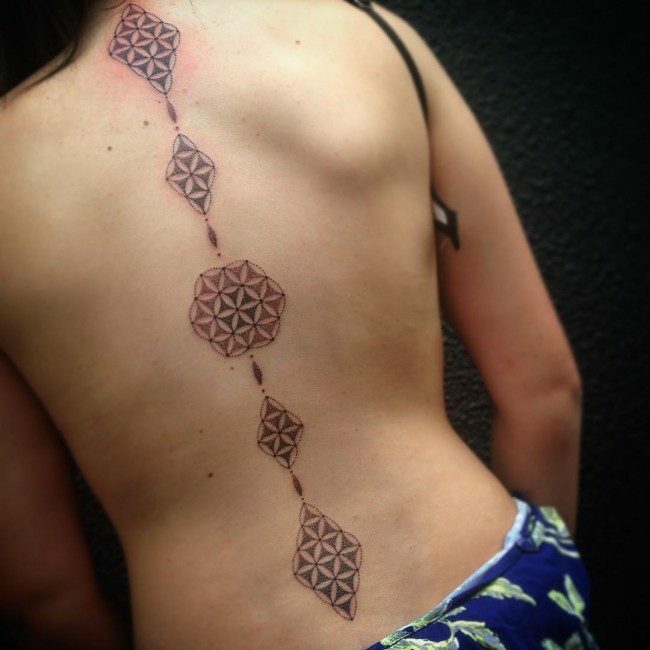 In fact, tribal designs can be elegant in appearance especially the red and black designs. 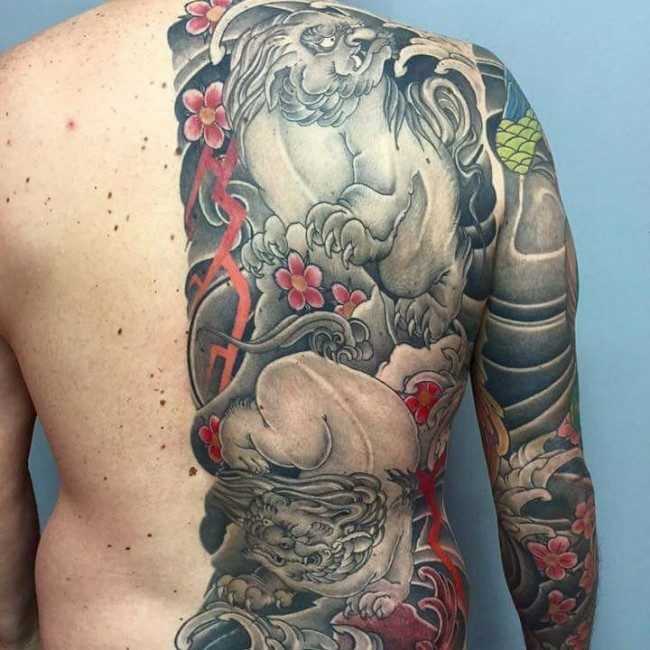 It is just a matter of putting some red layers on the black-inked tattoos on the body. 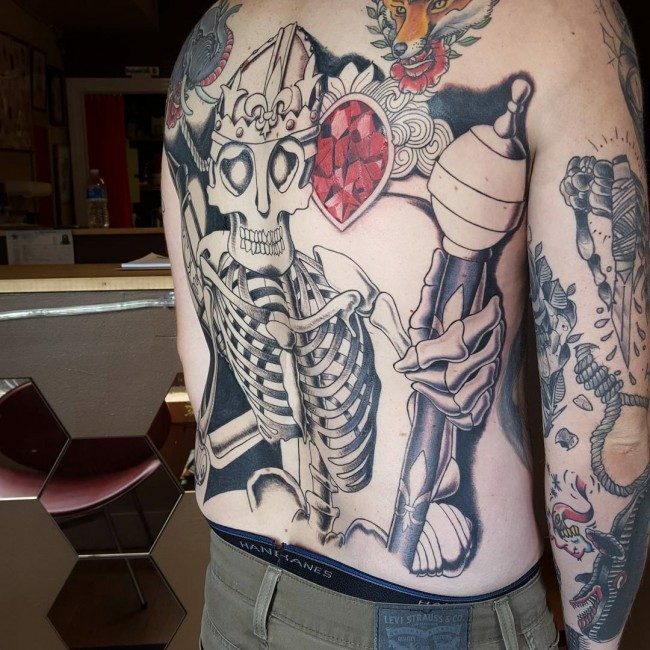 Grim Reaper Tattoo Design – As far as tattoos on the back are concerned, grim reaper design can never be forgotten. 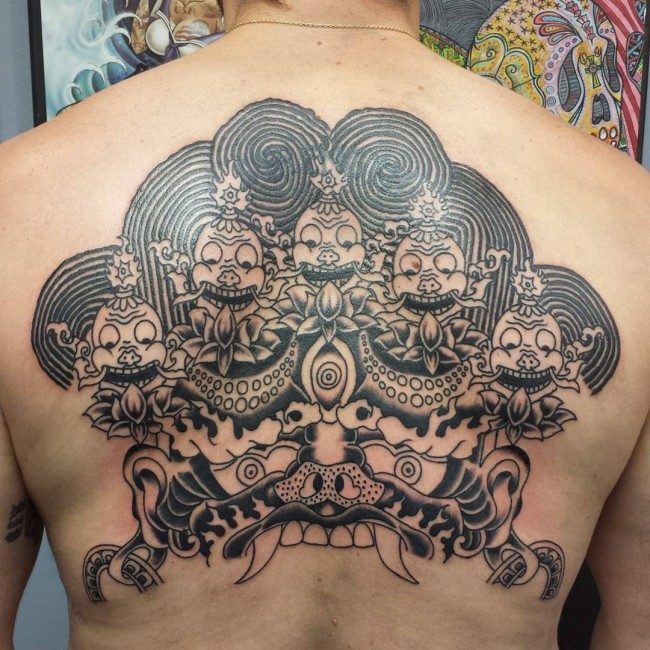 This is fiery in nature, and the center of attraction in this design is the image of a horse. One reason why it is the top choice of many is the fact that it is very colorful. Grim reaper design symbolizes death and rage. 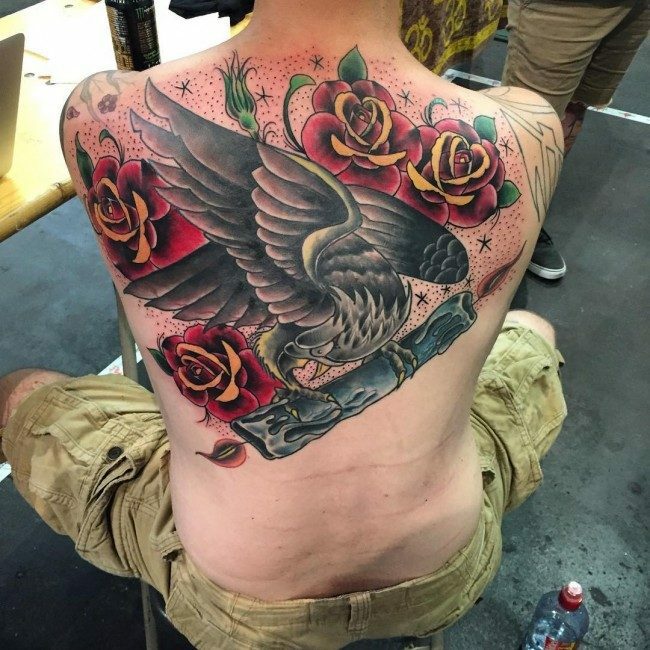 Angel Tattoo Designs – These designs are common among men. 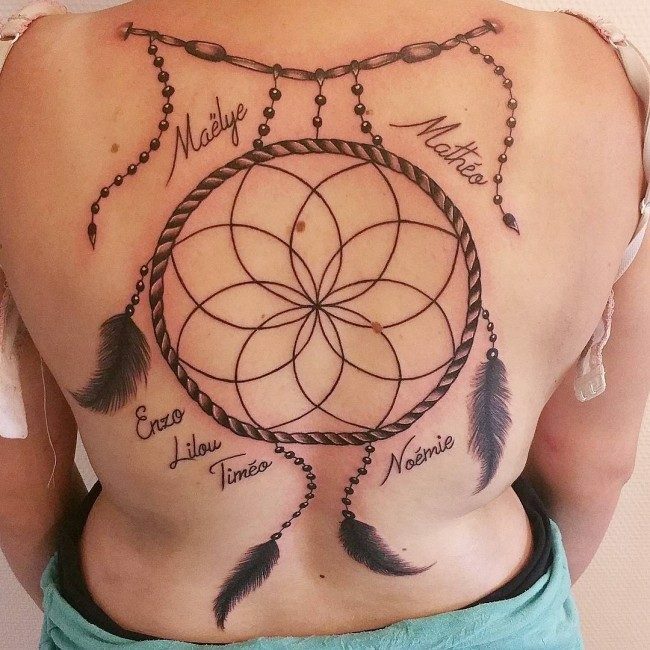 However, these will also look on the back of women tattoo lovers. 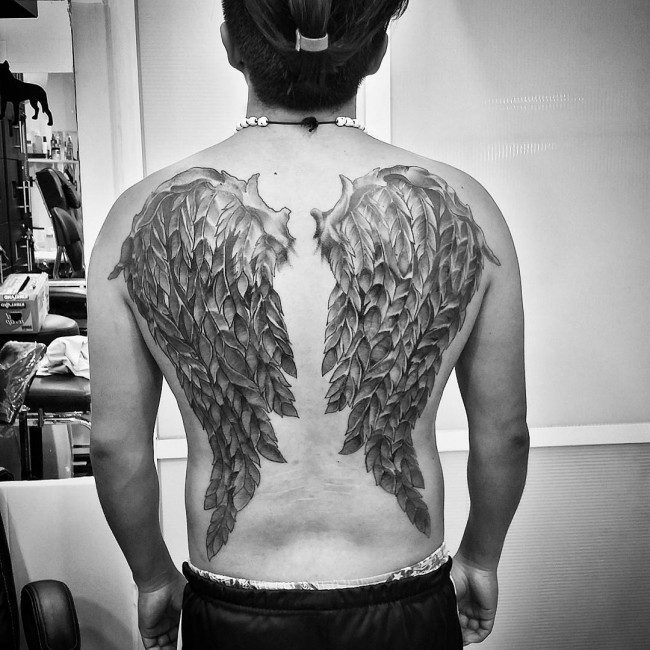 In order to make these tattoos more realistic, the loose feathers of the angels will do the job. These designs symbolize life and hope. 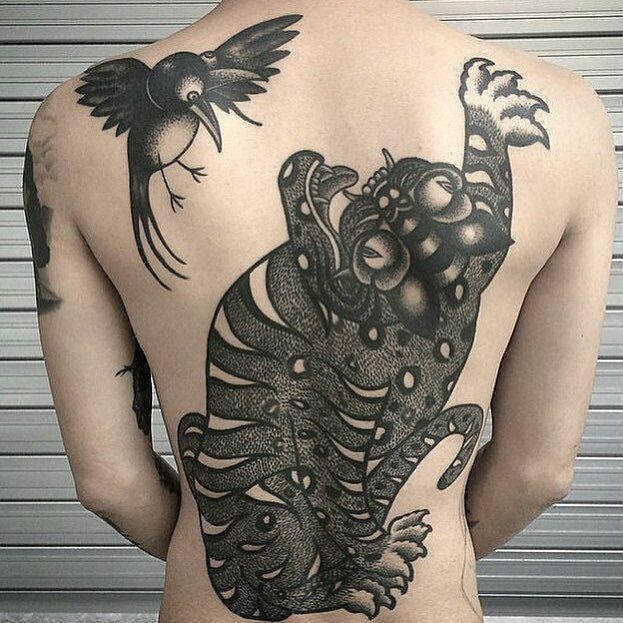 Dragon Tattoo Design – This design is certainly a remarkable one. 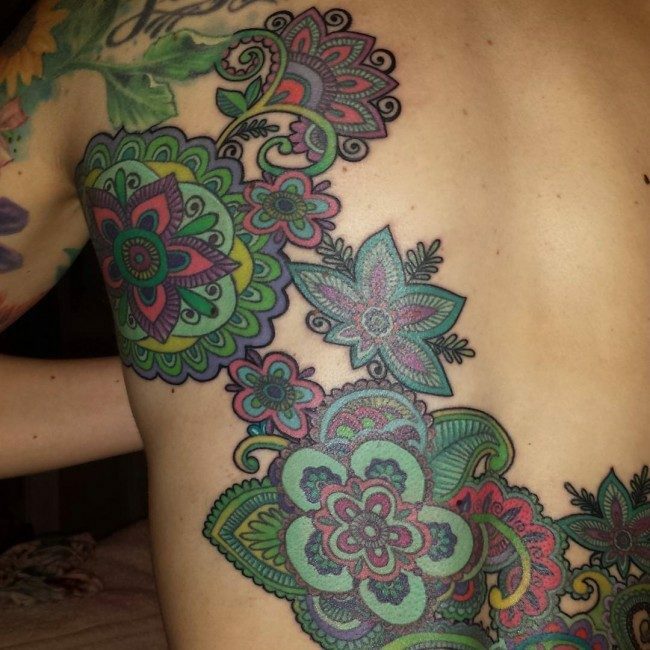 It is made up of intricate patterns, so it will take time in getting tattooed on your back. 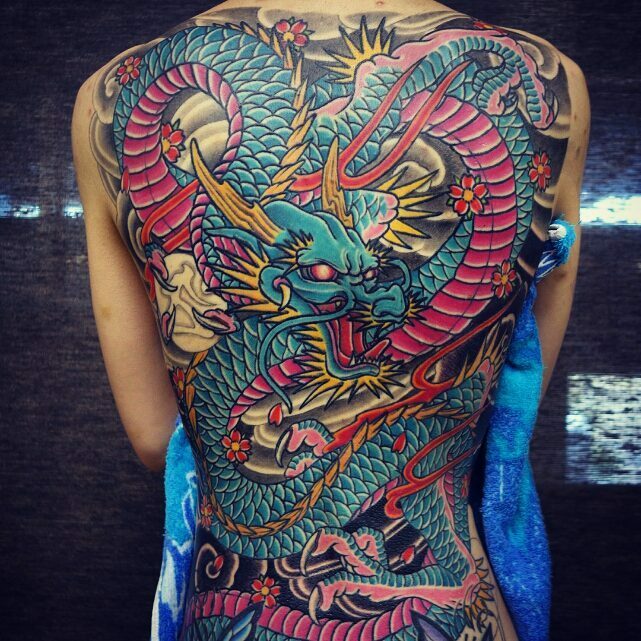 A lovely dragon design will create the illusion of dynamic and bold appearance. 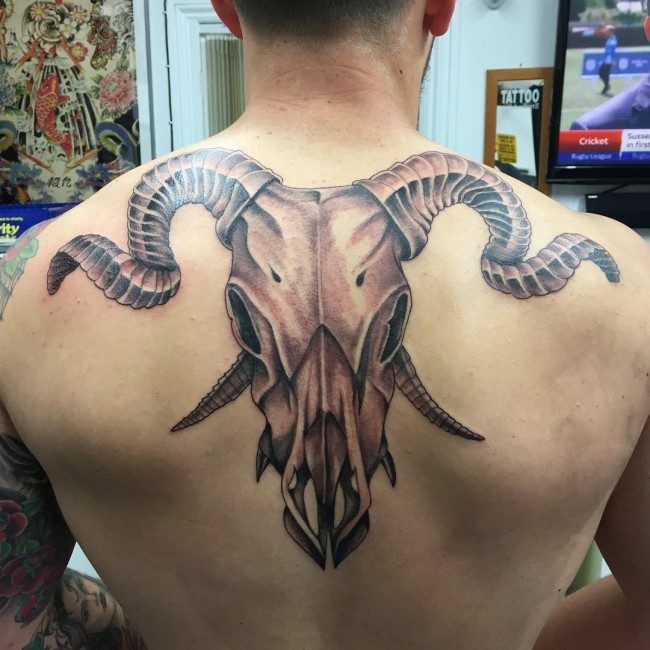 This is great for both men and women’s back. 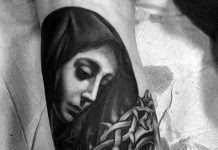 Jesus Tattoo Design – This common yet gorgeous design has been the choice of many in expressing their strong belief on their religion. 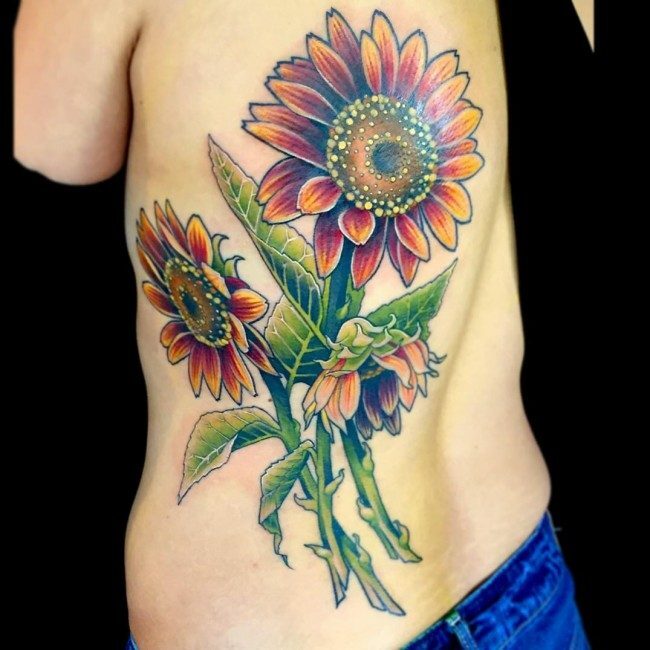 The tattoo design can be enhanced in terms of gorgeousness through adding some smaller designs like flowers and a heart. 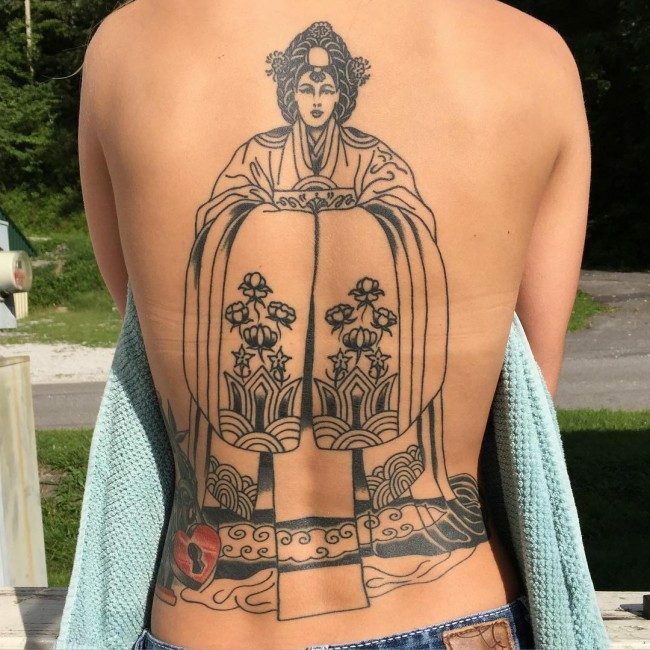 As a whole, back tattoos are great additions on every person’s back. 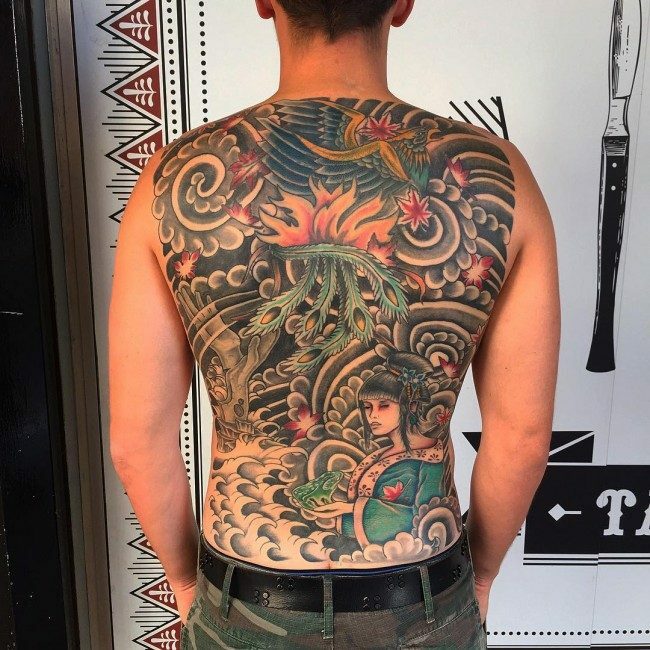 There may be some people who consider these tattoos undesirable, but it cannot be denied that many people today are already appreciating the beauty and value.